8/5/2016 | Scented Splendors: the art of Incense burners by KISHI & SAKIYAMA — dai ichi arts, Ltd.
Kyoto artist Keishi Eiko's interpretation of the incense tradition is soul-searching and uniquely creative. 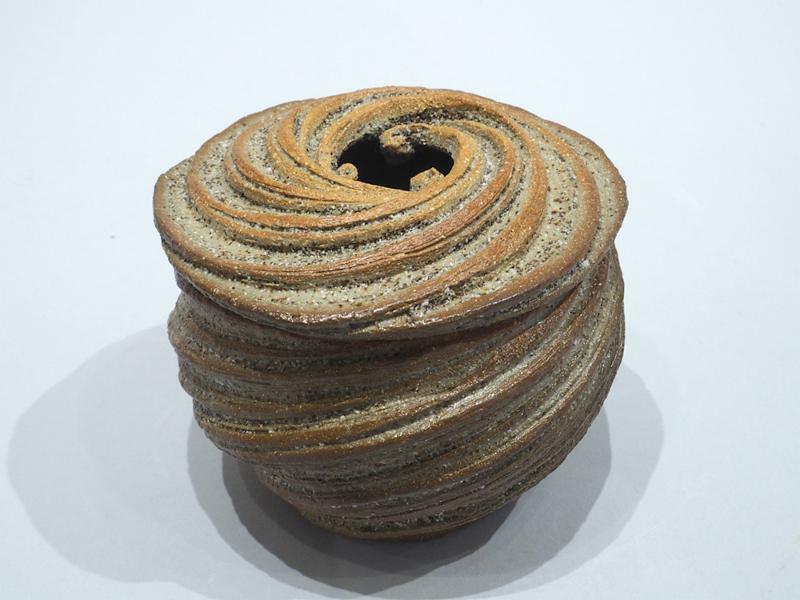 The title of this piece suggests that she is offering an impression of the Kyoto city map in the form of inlaid clay. Keishi's inlay technique is painstakingly accomplished over an incredible amount of time, resulting in an energetic surface that brings this abstracted work to life. The movement implied in the surface pattern lends a softness to this otherwise angular, almost geometric form. The artist gives us every grid of the bustling city: the gardens, temples, and houses are all presented from a bird's eye view. Can you find your favorite building or street? Home is in our hearts no matter how far we travel, and smell is a powerful sensual link to time and place. With incense you are able to create a calming and pleasant aroma in your own home, something lovely to remember! As a lifelong resident of the Japanese seaside, it is no surprise that Sakiyama's works are inspired by the sea. His most significant series, which incorporates various works from large vessels to incense burners, is titled Choto ("listening to the waves"), revealing a sensitivity to the rhythms of the natural world. Here we present one of the smallest works in the Choto series. It is a hand thrown and carved piece, and in its rough and swirling surface the viewer can discern the motion of the sea upon a rocky sand beach. 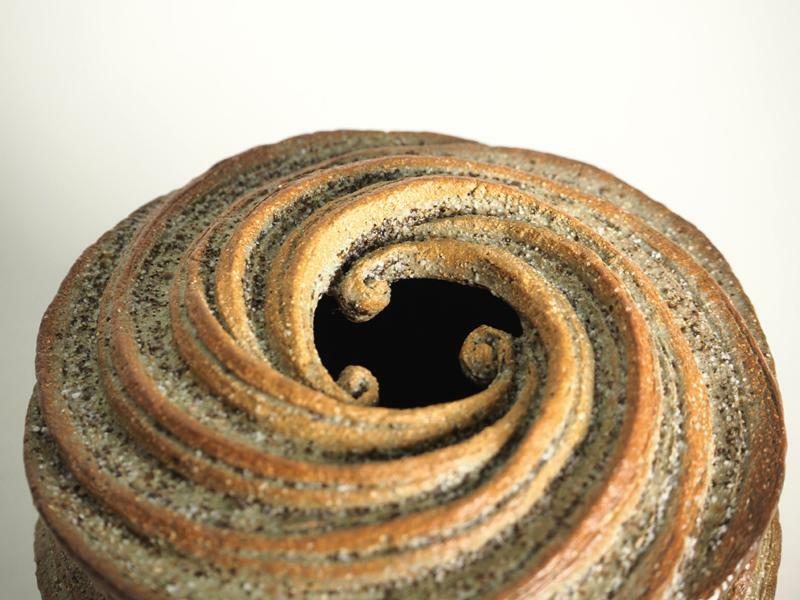 In fact, sand has been incorporated into the glaze, giving the piece its texture. White spots of sand are especially visible in the carved grooves of the whirling body. This gorgeous piece artfully evokes the ocean, but it is also functional: the central opening is left for the exit of fragrant incense smoke. This delicate opening calls to mind the center of a rolling wave or of a swirling whirlpool, or even of the curve of a very early spring vegetable: warabi.